Take a selfie at the point where the Tropic of Cancer passes. Located on route to Sanchi from Bhopal, at a distance of 30 kilometers (from Bhopal), the twin lines that are drawn on the road marks the spot! Fun fact! 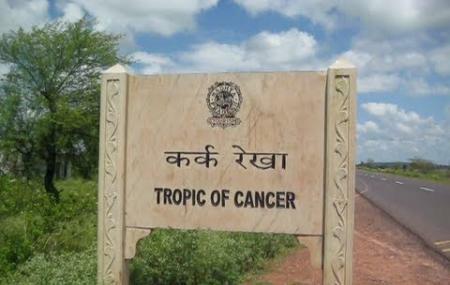 The tropic of Cancer passes through 8 states in the country-Gujarat, Rajasthan, Madhya Pradesh, Chattisgarh, Jharkhand, West Bengal, Tripura and Mizoram. The place is perfect for a pit-stop on your way to seeing the Buddhist monuments at Sanchi. Carry bottled drinking water and snacks. Wearing sunscreen will help to protect from the sun. How popular is Tropic Of Cancer? People normally club together Upper Lake and People's Mall while planning their visit to Tropic Of Cancer.